On longer 10 mile plus training runs sometimes I'd get tiny blisters either between my pinkie and neighboring toe or on top of a toe. The blisters are mostly likely due a perfect storm of cheap socks I was wearing, sweat friction and toes getting jammed to the front of my shoes. I don't think my shoes are part of the problem per se since I wear a half size larger already and they have a wide toe box. I think the friction was due to aggressive trail running and cheap socks that just didn't provide much protection from the roof of my shoe and none between toes. I tried adding Glide which helped to some extent, but what finally prevented toe blisters was magic in the form of toe socks! Injinji toe socks come in several weights (light, original, medium), ankle lengths (no-show, mini-crew) and colors (white, coal, black). I know many like the black, no show, lightweight but the no show is just not high enough to clear some shoes and the lightweight doesn't protect enough for me. My combination of choice is black/coal medium weight mini-crew. 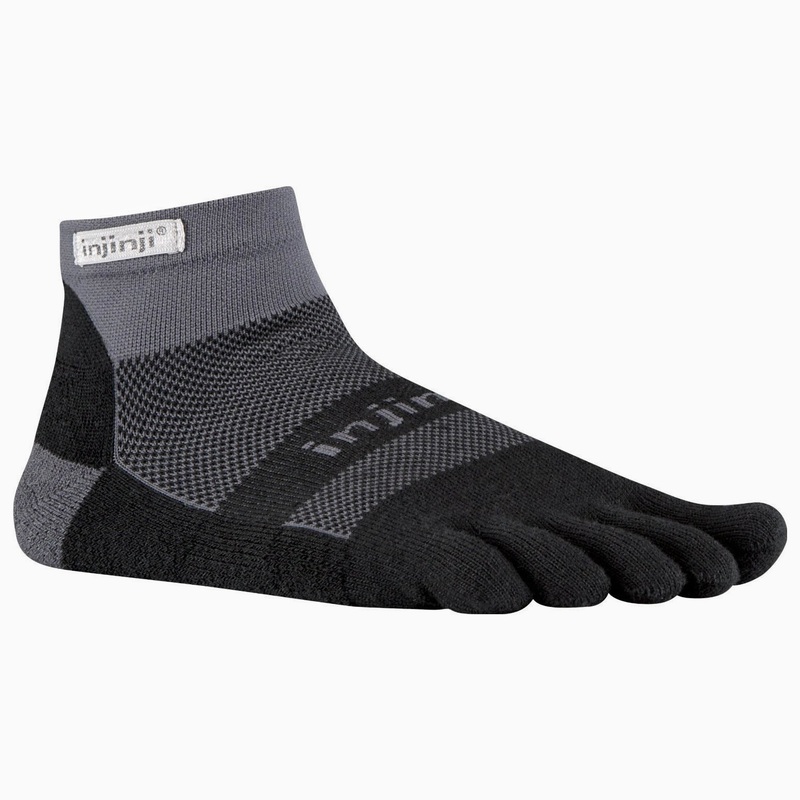 You must give Injinji medium weight, mini-crew toe socks a try if you are at all susceptible to toe blisters.